Gamo Bone Collector Extreme Slingshot | BUDK.com - Knives & Swords At The Lowest Prices! You'll have one heck of a time with Gamo's Bone Collector Extreme Slingshot. This premium slingshot is crafted of top-quality materials, featuring a solid steel frame, folding wrist support, sure grip handle and a genuine leather pouch. 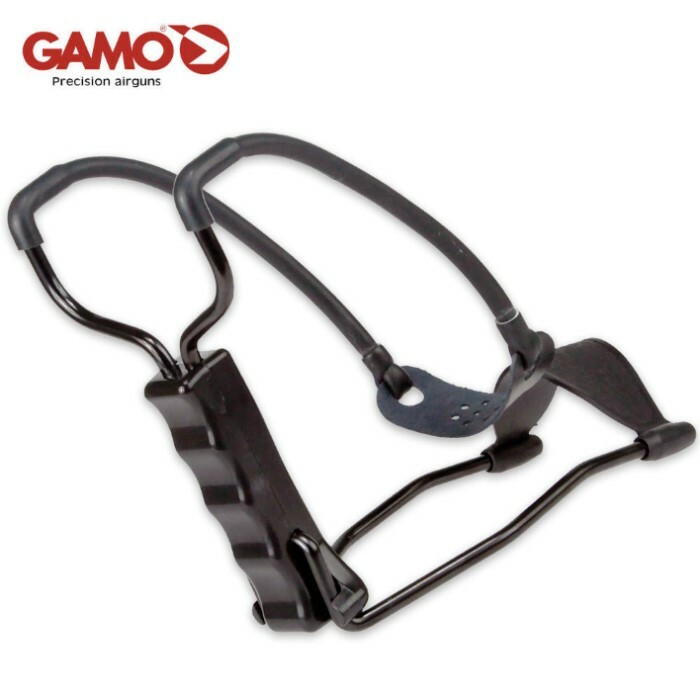 Upgrade your amateur slingshot to this Bone Collector from Gamo today! great sling shot. at first not accurate, shot to the left a lot but once the leather pouch broke in very accurate. shot marbles up to about 75 yards. love it. glad I ordered it lots of fun.